Hearing Bible stories read out loud at bedtime is often a child’s first introduction to spending time with God’s Word—and the effects can last a lifetime. In God’s Words to Dream On, bestselling author Diane Stortz (The Sweetest Story Bible) and incredible illustrator Diane Le Feyer offer a vibrant combination of story and picture with a “once upon a time” voice that stays true to God’s powerful Word.Fifty-two stories take children ages 4–8 through the Bible from Genesis to Revelation in a way that helps young readers see God’s plan from before Creation to send Jesus to make the world right again. 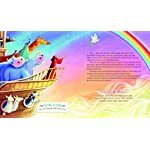 These carefully chosen stories teach children about God’s provision, love, and strength—the perfect truths to be in their hearts as they drift off to sleep.Ideal for birthday, baptism, and “I love you” gifts from parents, grandparents, Sunday school teachers, and godparents, God’s Words to Dream On helps children understand the value of reading God’s Word every day. 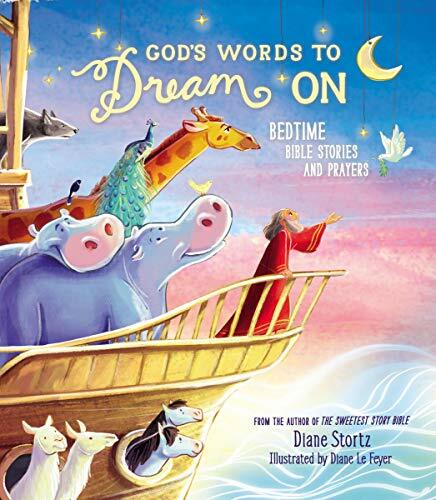 Each engaging Bible story includes:A brief Bible verse called God’s Words to Dream OnA good-night prayer related to the story called Sleepy-Time PrayerA short summary thought called Bedtime BlessingGod’s Words to Dream On also includes ideas for establishing a good bedtime routine with your kids, tips for reading aloud, and inspiration for introducing children to the greatest Book of all. Diane M. Stortz is an writer and former editorial director whose heart’s desire is to “tell the next generation about the glorious deeds of the Lord” (Psalm 78:4). 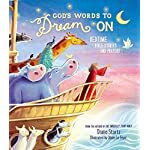 Diane’s books include Words to Dream On, The Sweetest Story Bible, I Am, I Am Devotional, Say & Pray Bible, Say & Pray Devotions, and A Woman’s Guide to Reading the Bible in a Year. Diane and her husband reside in Cincinnati, Ohio, and have two married daughters. Diane enjoys walking, gardening, and visiting her four young grandsons. 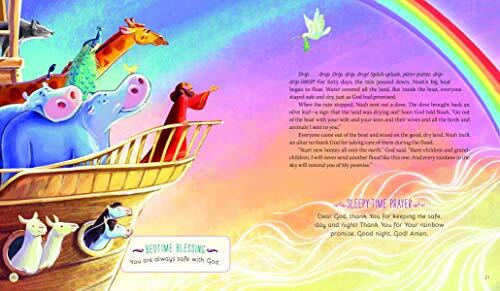 Hearing Bible stories read out loud at bedtime is frequently a child’s first introduction to spending time with God’s Word—and the effects can last a life-time. In God’s Words to Dream On, bestselling writer Diane Stortz (The Sweetest Story Bible) and unbelievable illustrator Diane Le Feyer offer a vibrant combination of story and picture with a “once upon a time” voice that stays true to God’s powerful Word.Fifty-two stories take children ages 4–8 through the Bible from Genesis to Revelation in a way that helps young readers see God’s plan from before Creation to send Jesus to make the world right again. 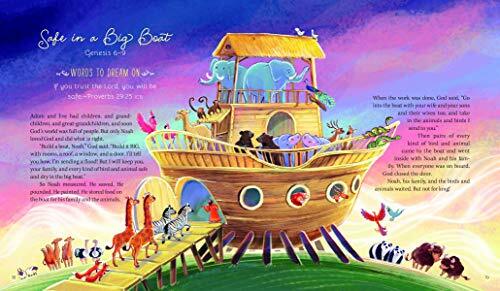 These carefully chosen stories teach children about God’s provision, love, and strength—the easiest truths to be in their hearts as they float off to sleep.Ideal for birthday, baptism, and “I love you” gifts from parents, grandparents, Sunday school teachers, and godparents, God’s Words to Dream On helps children be mindful the value of reading God’s Word each day. 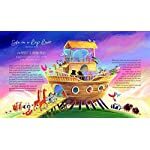 Every engaging Bible story includes:A brief Bible verse referred to as God’s Words to Dream OnA good-night prayer related to the story referred to as Sleepy-Time PrayerA short summary thought referred to as Bedtime BlessingGod’s Words to Dream On also includes ideas for establishing a good bedtime routine with your kids, tips for reading aloud, and inspiration for introducing children to the greatest Book of all.